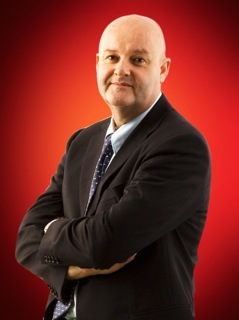 Glen Felgate: CEO of Myanmar Media United Co.
Myanmar Media United Co., Ltd – a media group with a licence to operate five digital television channels - has appointed a westerner to the top post of Chief Executive Officer (CEO). Myanmar Media United Co., Ltd. (MMU) has announced the appointment of British television executive Glen Felgate as MMU CEO. Felgate, who is a former Reuters Television broadcast journalist and founding General Manager of Cambodia’s number 1 TV channel CTN, will take up his post in March. MMU has a 10 year licence to operate 5 digital channels. The channels – which are connected to national broadcaster Myawady TV (MWD) – are currently free-to-air. Myanmar Media United is currently looking for international investors to form a partnership or joint venture. The group is already having preliminary talks with media companies in South East Asia. Felgate, who set up and ran Cambodia’s number 1 TV station CTN for 10 years, has spent the last year setting up a Public Relations and TV production company Quantum Publicity in Phnom Penh. MMU was founded in November 2011. The group was awarded a licence to operate TV in Myanmar in May 2012.